Sin Tax Passes! | LIVING IN THE PACIFIC - Philippines to Guam... One Day at a Time! Sin Tax Passes! – LIVING IN THE PACIFIC – Philippines to Guam… One Day at a Time! At the Malacanang Presidential Palace in Manila, Philippines Thursday, Dec. 20, 2012, President Benigno S. Aquino III signed into law the Republic Act 10351, Sin Tax Reform Bill 2012. The bill is expected to raise about 34 billion pesos (about $830 million) annually from higher tax receipts on tobacco and alcohol to pay for and improve public health care. Going up against the Catholic Church and the tobacco lobby, Aquino used his popularity to get two laws passed that will provide free condoms to the poor and increase taxes on cigarettes and liquor. These additional revenues will be used to also fund the expansion of PhilHealth enrollment to the second poorest 20% of the population, with projected upgrades and modernization of hospitals and other health facilities. Still cheaper than the beer back home! All I know is that price of my favorite cold beverage just went up! Thank goodness I don’t smoke! This entry was posted in In The News! 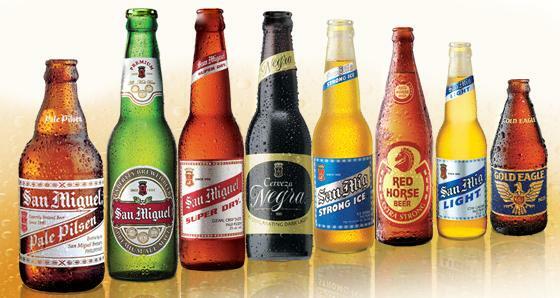 and tagged alcohol, beer, cigarettes, liquor, new law, Philippines, republic act 10351, san miguel beer, sin tax. Bookmark the permalink. ← Philippines Real Estate – Is it Too Late?